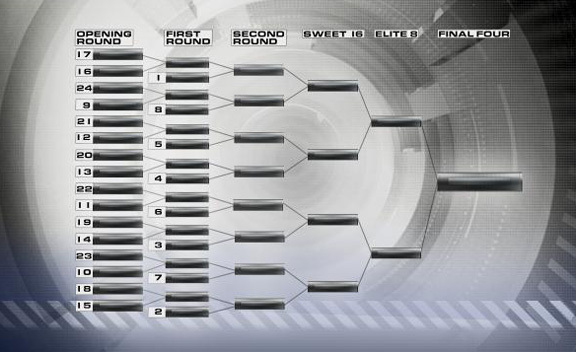 Everyone loves brackets, but no one seems too excited for the NCAA Tournament to expand to 96 teams. If you thought it was hard filling out your bracket now, imagine filling out a 96 team bracket. If the field expands, the plan is to still play it during the current 3-week time frame. 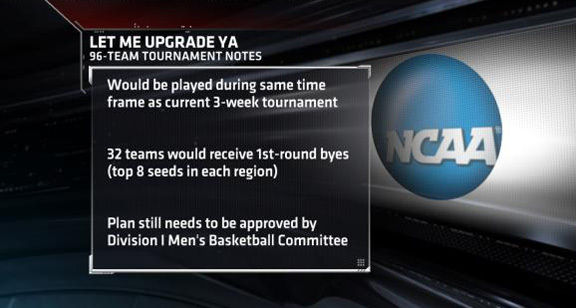 Big advantage for the top 8 seeds in each region as they would get a 1st-round bye. What's next, 128 team bracket? If it works for the 4 major tennis championships, maybe it would work for the NCAA Tournament.